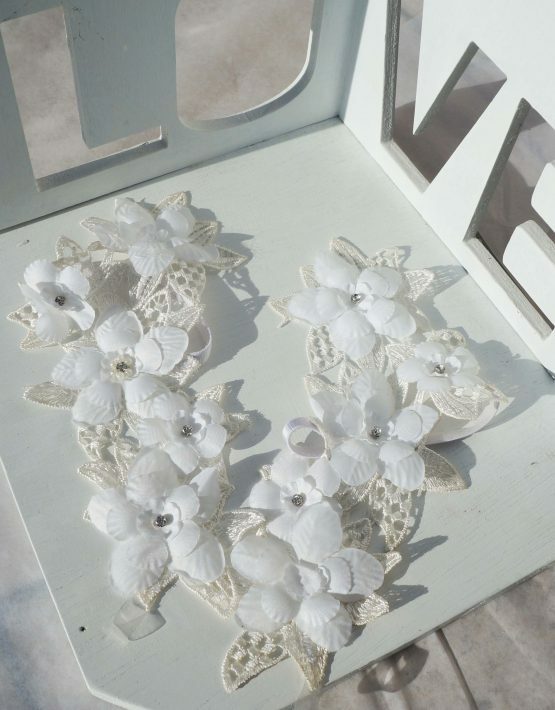 These gorgeous light Ivory bridal barefoot flower sandals are made from a delicate lace and chiffon flower motif with crystal embellishment to the centre of the chiffon flowers. The ankle strap is made from satin elastic and the toe strap is clear elastic to create a beautiful seamless look. 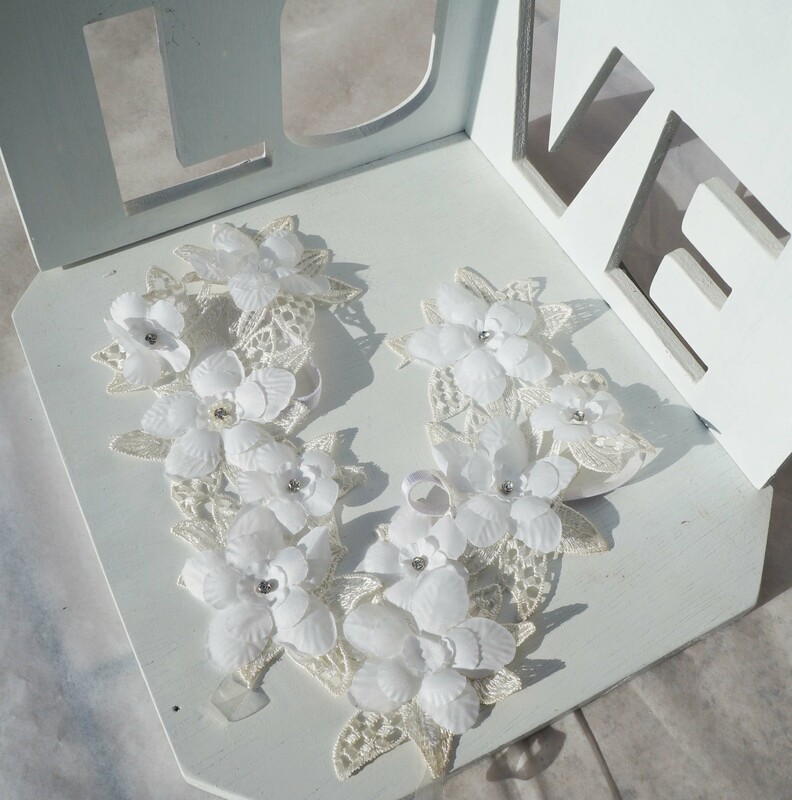 These are the perfect accessory for your garden or beach wedding!